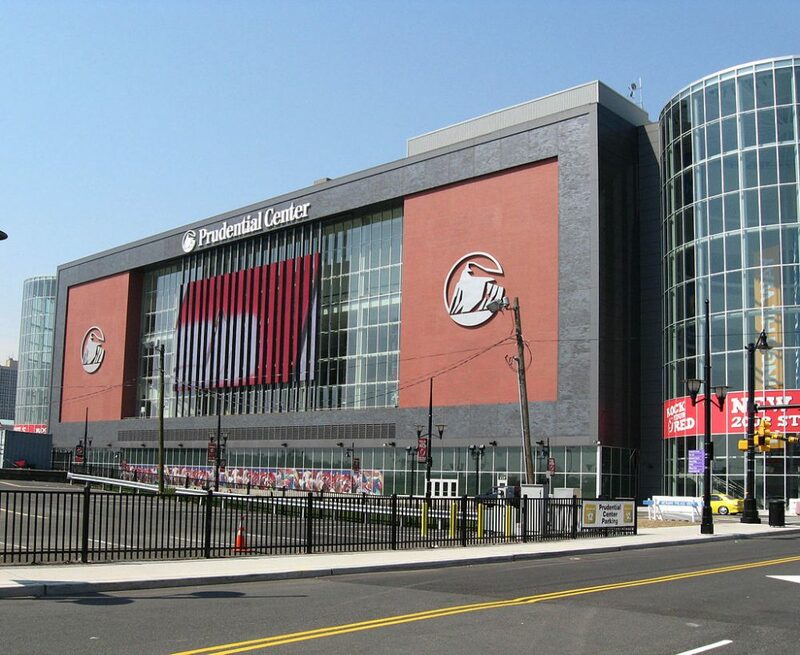 Prudential Center is a multi-purpose indoor arena in the central business district of Newark, New Jersey, United States. It was designed by HOK Sport (now Populous), with the exterior designed by Morris Adjmi Architects. Opened in 2007, it is the home of the New Jersey Devils of the National Hockey League (NHL) and the Seton Hall Pirates men’s basketball team from Seton Hall University. The arena seats 16,514 patrons for hockey and 18,711 for basketball. Fans and sports writers have affectionately nicknamed the arena “The Rock” in reference to the Rock of Gibraltar, the corporate logo of Prudential Financial, a financial institution that owns the naming rights to the arena and is headquartered within walking distance of it. In December 2013, the arena ranked third nationally and ninth internationally for self-reported annual revenue.